As I continue to wade through my most recent read on topics such as waking up to potentials in the quantum realm, the power of our minds to heal our bodies, and how our thoughts create our reality, I’ve been thinking that, although it’s devoted to how we can change our lives in this reality, it often feels a bit like science fiction. In anticipation of some new reading material in the year to come, I’ve put together a list of 10 of the best science fiction books of 2019 that you should be ready for when they are released! If none of these books interest you, don’t worry! I’m not offended. But don’t leave so quickly! I’ve got plenty of other content you might enjoy, including Book Reviews, Writing Tips, and My Books! If you’re looking for a freelance writer to contribute guest blogs or ongoing paid content, please read through my Services and shoot me an email detailing your project! This book will bring us the tale of a mother who will go to great lengths to protect her son from the realities of a hostile new world that has fallen into chaos resulting from the absence of men. The tale is set in a futuristic America in which a super-virus has decimated the male population. New traditions, customs, laws, and punishments mean that hiding a living, breathing male is now one of the most heinous offenses in the country. As the mother and her son move from a commune in the Rockies to a high-security laboratory in the redwoods of Northern California, they negotiate the challenges of living on the fringe of the new American society. Can they achieve their dream of escaping to a better life in South Africa? Or will they be caught and punished by a mysterious ex-boyfriend who is hell-bent on justice? Motherland was released at the beginning of the year and is now available on Amazon. 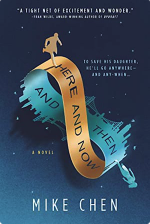 This book will bring us the story of a time-traveling father who will go anywhere, or any “when,” to save his daughter from the fragility of her own existence. The father, Kin Stewart, used to be a time-traveling secret agent from the future (2142, to be precise). Then he botched a mission and found himself stuck in suburban San Francisco in the 1990s. Life wasn’t bad there. He was married and had a beautiful young daughter. Then, out of nowhere, his “rescue team” arrives from the future. They’re 18 years too late but in the future, he has only been gone for weeks. They insist on bringing him back with them, and back to another family that Kin has no memory of. He finds himself torn between two lives, one that he knows and one that he should know, but can’t remember. As he grapples with his dilemma and tries to live in both worlds, but his decision puts his agency, his daughter’s existence, and history itself in peril. Here and Now and Then was released at the end of January and is now available on Amazon. This book is set in a future American in which the country’s towns, cities, and communities have completely and permanently surrendered to gun violence. The year is 2030, not too far in the distant future. 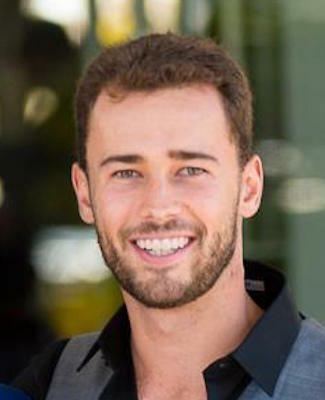 The main character, John McDean, is the producer of a reality game show with the objective of keeping the American people alert to foreign and domestic threats. In each episode, a handful of shooters are introduced into what viewers believe is a “game environment.” Survivors receive a cash prize. As the book moves along, McDean slowly realizes that the American public isn’t the only audience tuning in, and he soon finds himself in an uncomfortable position on the other side of the cameras. Vigilance was released on January 29th and is now available on Amazon. This book is set in a world where a habitable planet in a nearby solar system was discovered more than a century earlier. Studies of the planet and its ecosystem have been thorough and, now, the very first team of astronauts is about to embark on a mission to explore the planet. The team of 10 consists of four decorated veterans of the 20th century’s space race and six students who have been training for this mission for most of their lives. The kicker is that the journey from Earth to the other habitable planet will take 23 years. So, for 23 years the crew will have to live in close quarters. For 23 years they will have to rely solely on each other without the possibility of rescue. For 23 years they will have only the 10 of them to solve problems if anything goes wrong. 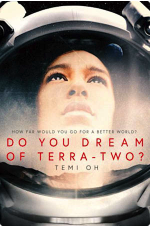 And, of course, “something always goes wrong.” The anticipated release date of Do You Dream of Terra-Two? is March 7th, but you can now pre-order on Amazon. Blending time travel with the all-important subject of climate change, this book follows two timelines. One is set in the year 2028 and the other is set in the year 2080. In 2028, we follow a young woman heading in for a “routine” brain surgery. In 2080, we are introduced to a group of scientists studying at a remote site on the edge of the Arctic Circle. The scientists are making a last-ditch effort to save humanity by making a tiny alteration to the past. It’s an alteration they hope will leave the rest of recorded history intact. When the woman in 2028 wakes up from her surgery, she begins to hear a voice inside her head. It’s a presence that seems to have its own will and purpose. Her struggle is whether to resist or collaborate, with no knowledge that her decision could impact the entire future of the human race. 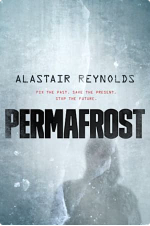 The anticipated release date for Permafrost is March 19th, but you can now pre-order on Amazon. The Teixcalaanli Empire is the stage for the unfolding of this story, and Ambassador Mahit Dzmare is the main character. Dzmare arrives in the center of the multi-system empire to discover that her predecessor has passed away unexpectedly. It is a time of political instability in the imperial court, and no one around the death will accept the evidence that it might not have been the accident that they’ve been led to believe. Dzmare must work to discover the culprit behind the murder while she protects herself from becoming the next victim. All the while, she must keep the best interests of her small mining station from succumbing to the unceasing expansion of the empire. 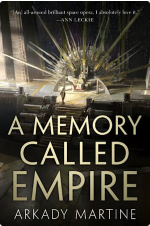 The anticipated release date for A Memory Called Empire is March 26th, but you can now pre-order on Amazon. 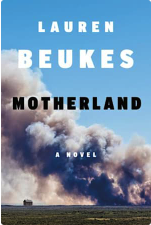 This book takes the potential effects of climate change to a science fiction extreme. The inhabitants of our planet struggle to adapt to a suddenly alien environment when they find out a black hole one-tenth the mass of the sun is approaching our solar system. The potential effects are set to render our maps and systems meaningless. Matt, the main character, and his friends decide to board a mobile aquaculture rig to wait out the event. The rig is self-sustaining in food, power, and fresh water. But as the black hole approaches, everyone soon realizes that the initial predictions for its trajectory were way off. Once the black hole has moved through the solar system, the conditions of life on our planet will be changed forever. 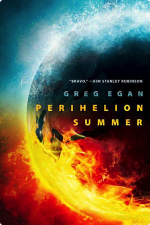 The anticipated release date for Perihelion Summer is April 16th, but you can now pre-order on Amazon. Emily is a robot equipped with the most advanced artificial intelligence technology the world has ever seen. She’s capable of solving advanced mathematical problems and unlocking the mind’s greatest secrets. Unfortunately for the inhabitants of the Earth, she’s not sophisticated enough to find a solution when our sun begins to die 5 billion years earlier than anyone anticipated. But, as an intelligence system initially designed to assist in the processing of trauma, Emily is in a unique position. She wants to find an answer for the survival of the human species, and she thinks she’s uncovered something. But not everyone is convinced that she’s right, or that she has the best intentions. In order to save the world from extinction, Emily will have to go on the run with her two human companions and, in the process, discover what makes us most human. 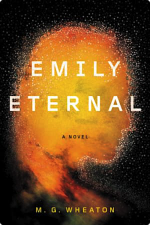 The anticipated release date for Emily Eternal is April 23rd, but you can now pre-order on Amazon. Sally Jansen’s final mission in space was such a disaster that she left NASA convinced she’d never leave the earth’s atmosphere again. Now she’s living her retirement days in depression, haunted by the memories of her past failures. Luckily, as the book progresses, it starts to look more and more likely that Sally is going to get another chance, but it isn’t necessarily for all the right reasons. There’s a large, unidentified flying object hovering above the Earth. It has made no attempts to communicate with us and hasn’t responded to any of our attempts to communicate with it. Determined to redeem herself, Sally accepts the responsibility of leading a mission to explore the object and discover its purpose. Some unexpected competition turns Sally’s mission to make the First Contact into a race against time to secure the fate of humanity. 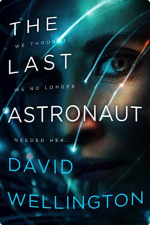 The anticipated release date for The Last Astronaut is July 23rd, but you can now pre-order on Amazon. In this story, time travel is as normal to humanity as driving a car. It has existed since the earliest times and, despite the ease of jumping into the past in this alternate reality, scientists have become convinced that altering the timeline in any way is impossible. That’s where our main character, an ideological geology professor named Eliza, begs to differ. Eliza believes in historical change. She keeps going back to the Columbian Exposition in 1893, trying to undo a horrible injustice that is still having effects on the present moment. On her way, she makes a stop in 1992, where she attempts to save a high school punk rocker from a terrible fate. Their lives become intertwined and they soon realize that they are part of a hidden war that has been waged for millions of years. With a little help, the two embark on a journey to save each other and build a new future. 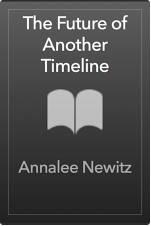 The anticipated release date for The Future of Another Timeline is September 24th, but you can now pre-order on Amazon. I hope you’ve enjoyed these brief biographies of some of the best new science fiction authors to follow in 2019. Keep an eye out for their work to be published and make sure you pre-order the selections you’re interested on Amazon or at Barnes and Noble. Of course, if you decide to purchase any of these books, I’d love to know how the one you choose changes your life! Hello Tucker. 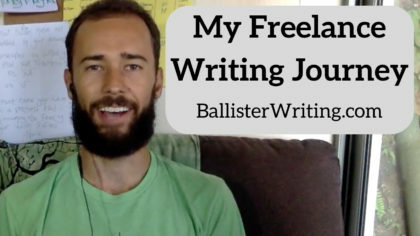 The Ballister Writing blog is my favorite blog. Reading is one of my favorite hobbies from my boyhood. I’m so glad to get together a number of book reviews here. The cover page of all the books is beautiful and captivating. Particularly Mike Chen’s Here and Now and Then is one of them. 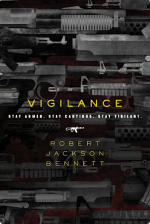 I can’t wait to read the Vigilance written in the historical background by Robert Jackson Bennett. Thank you very much for the beautiful reviews. With regards. Hi Ranao! I’m glad you’re finding so much value from this blog. 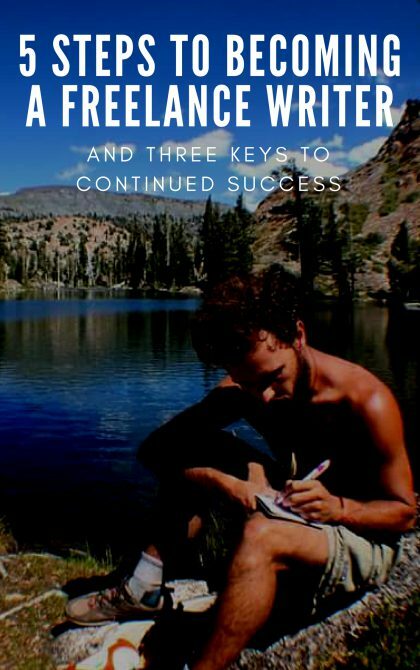 It’s my passion to share amazing books and tips for other writers interested in creating a blog, building a location-independent income stream, or self-publishing! It has been years since I read science fiction but the books you have picked out has made me want to try again. The first two, Motherland and Here and Now and Then especially caught my eye as well as Emily Eternal. Thanks for the heads up on their release dates and where to purchase them. Although I am a huge fan of forensics and murder books, I love to explore new ‘worlds.’ Thanks for sharing. Very glad you found these reviews useful. If you’re anything like me, your reading list grows much more quickly than you can check books off, but it’s still always good to know when awesome new books are set to be released! I must commend you for taking your time to write a review on each of this books. Most of the books in this review seem to interest me one way or the other. These are the types of books I like to read in my leisure time at home, especially ones like Vigilance by Robert Jackson Bennett. It’s a kind of book I will like to have in my mini library at home. Happy to hear that you’re interested in these books and in growing your mini-library at home! I dream of having an extensive library on my retreat property one day. I’d be very interested in hearing how you like Vigilance once you read it! 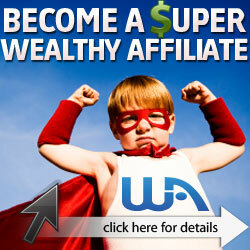 This is another great review and its full of insightful information. I always enjoy reading all your reviews and this one is no exception because they are very helpful. This is the most extensive and comprehensive review I have read on science fiction books. I have read Motherland and Vigilance and I must tell you they are superb. I hope to check on other books anytime soon! Hey There! Happy to hear that you have already read two of the selections from this list. Are you planning to read any of the others? And are there any books or genres, in particular, you’d be most interested in seeing me review on this site? Hi there, thanks for sharing all these best science fiction books of 2019, I must commend your effort bringing out the, best of all science fiction books of 2018, am particularly interested in Vigilance by Robert Jackson Bennett, although all other books also catch my attention but I particularly have interest in this book because it’s involved America and use of gun in 2030. That was one of the 10 that caught my eye most closely as well. Let me know how you like it once you buy and read! I really love to read compelling books on the train ride to and from work. Helps me escape the chattering around and relaxes my mind. I believe all books listed here will make good reads. However, I’m more interested in reading the Vigilance, sounds like a blockbuster, action packed book. That’s my kind of book. One quick question, can I get this book in paperback? I kind of belong to the ‘ancients’.